Frozen Curtains | Just Shooting Memories! At least all the cold weather provided a little fun with the camera. There are several roads that follow the base of cliff’s near home and with all the rain and cold, there were some pretty big icicles. Just a short way down the road is a seasonal waterfall. 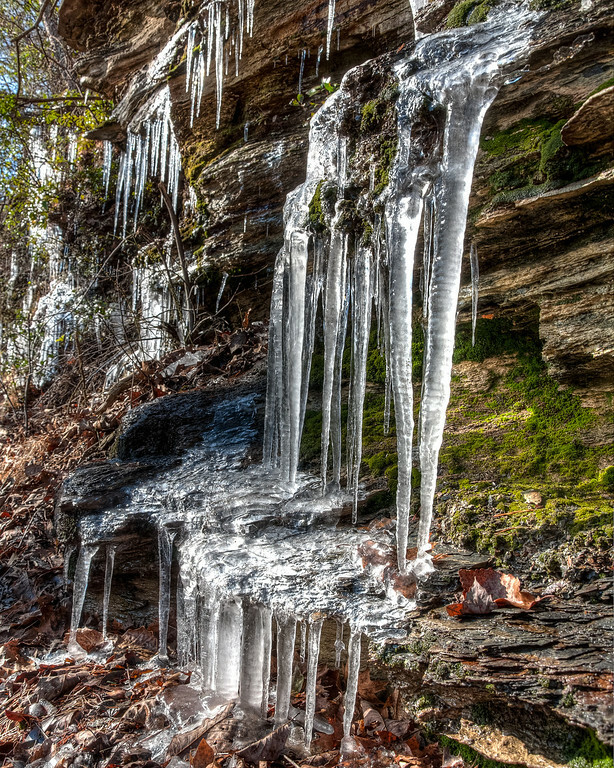 After taking this photo, I decided to climb to the top and see the icicles there. Probably not the brightest idea I have ever had, but I found the top of the waterfall.